21 March 2016 – Lia’s Kitchen was filmed for the first episode of Channel Four’s The Food Chain Programme. Lia prepared preserved lemons and a chicken giouvetsi recipe inspired by her grandfather. You can watch the episode until 20 April 2016 here. 7 April 2016 – We were feature in an ITV News item on Oasis refugee charity for the good work we have undertaken with this amazing charity. You can read more here and also view the clip from the news. 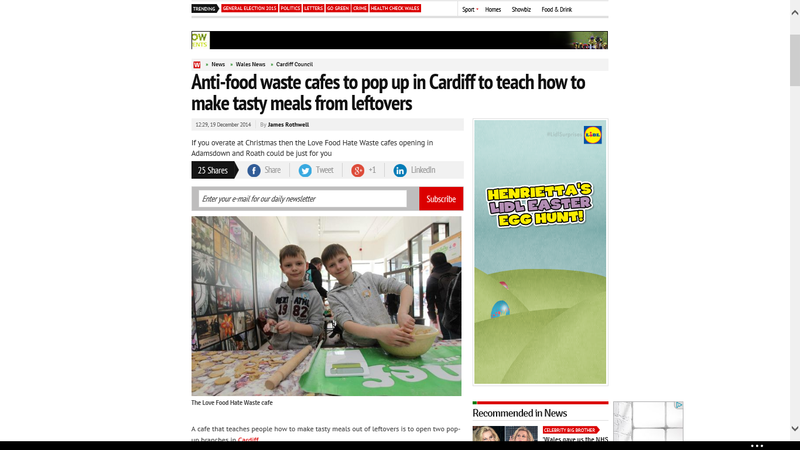 27 December 2015 – Reducing Food Waste: The war on leftovers in Wales.